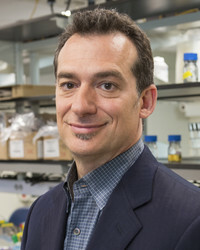 Dr. Mark Bagarazzi has been the Chief Medical Officer of Inovio Pharmaceuticals since 2010. Prior to Inovio, he was Director of Worldwide Regulatory Affairs at Merck & Co, where he led vaccine product and regulatory development of Merck’s ZOSTAVAX®, the leading vaccine for shingles. He was responsible for global regulatory activities related to Merck vaccine candidates for the prevention of HIV/AIDS. He also successfully led the regulatory process culminating in FDA approval of RotaTeq®, Merck’s vaccine against rotavirus. Prior to joining Merck in 2001, he was director of the HIV/AIDS program for St. Christopher’s Hospital for Children in Philadelphia. Previously he was an assistant professor of pediatrics at Drexel College of Medicine and a guest lecturer at Johns Hopkins University.